Sometime when I'm feeling down I like to buy myself a little gift from me, to me. 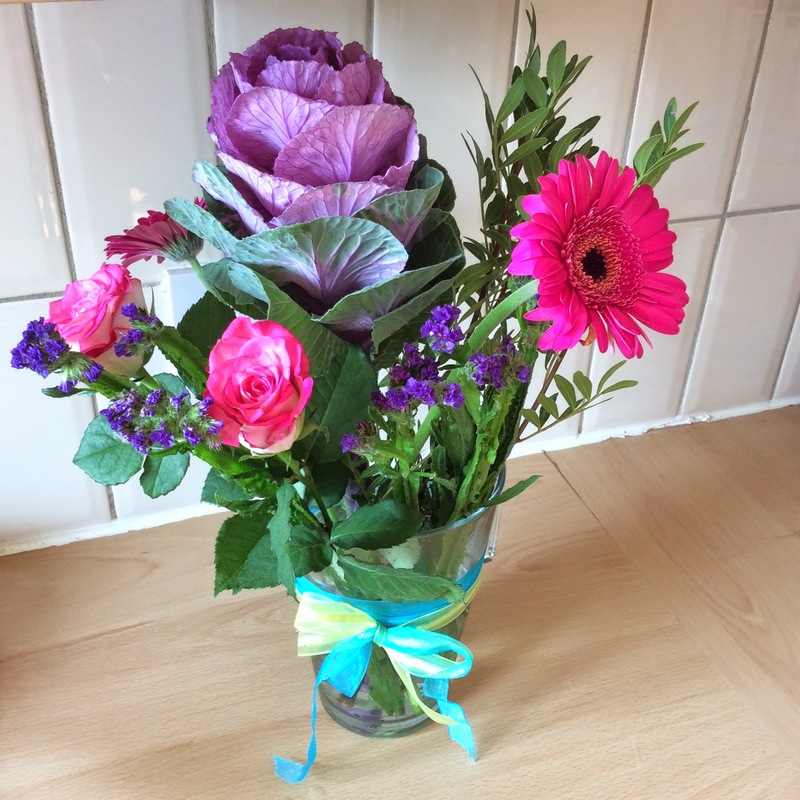 A bunch of flowers is such a beautiful thing to buy yourself and there's a huge selection to suit any budget. You don't even have to buy some. Maybe your Granny's garden could spare a few roses. Maybe you could pick some wild flowers. The power is in the little gesture. It's a message to your soul telling yourself that someone cares. Flowers can't help but lift a deflated spirit. Go on, for the price of a coffee you can have almost a week of colourful joy on your table! There's no commitment because they don't need any watering or attention. They just want to brighten your day! So consider buying yourself a little bunch today and let some colour back into your life!